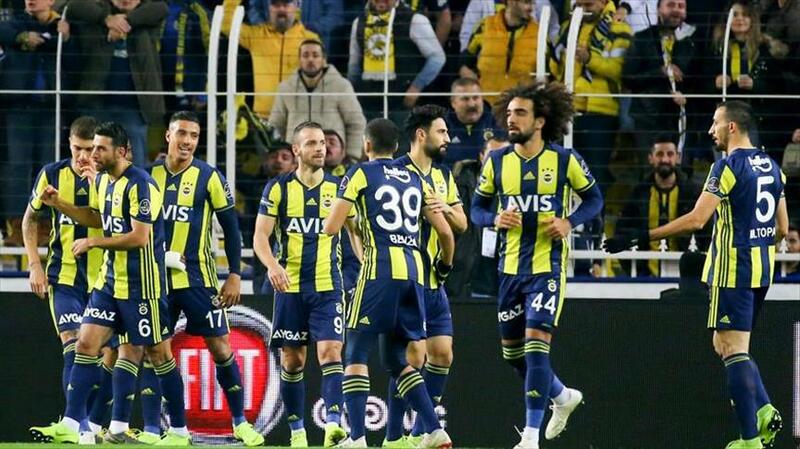 A giant in Turkish Football, Fenerbahçe find themselves hovering in relegation territory on the Superlig, after a string of poor performances, including a 3-0 loss to bottom of the table Akhisarspor. Finding themselves in the uncharted territory both Club management and supporters are at odds with each other over what to do. The continued poor performance of the team has angered fans, with some saying it is reaching boiling point. At best, there is serious unease among the club’s supporters as they are having to think the unthinkable. Luckily they stopped the rot on Friday and beat Izmir’s Goztepe 2-0, and climbed to 11th place from the bottoms of the table. Will the latest victory fire up Istanbul’s Fenerbahce to pick themselves up or not? Will the new boss survive a backlash? Yesterday was a relief for them, but it seems not enough to galvanize the fans. It is the first time since the Süper Lig adopted the three-point system in the 1987-1988 season that the Yellow Canaries find themselves sitting just above the relegation zone in week 10 of the season. This dire situation has put club president Ali Koç under massive pressure and scrutiny. Ending Aziz Yıldırım’s 20-year reign at the club, Koç was elected club president last May “change”. Following that shock defeat to Akhisarspor in December, Koç sent the Fenerbahçe footballers home to Istanbul by bus. Koç went down to the change rooms soon after the match ended and told the players that they would not be returning to Istanbul by plane, but by bus. Following the 19th week, Fenerbahçe finds itself 21 points behind table leaders Başakşehir. Fenerbahçe, which has won the Süper Lig and been runner-up 22 times since the league’s establishment in 1959, have not often stared up from the bottom of the table. “At the beginning of the season, if we had to write the worst-case scenario, no-one could have predicted the current situation,” said Koç, who is facing immense press from supporters. In a bid to stop the tot, the club has initiated a new ‘transfer program’ and announced that they have transferred seven players. Tolgay Arslan was transferred from Beşiktaş to Fenerbahçe for three million euros. The club made the transfer by the public with a striking video. Miha Zajc, Slovenian attacking midfielder from Italian Serie-A football club Empoli has also transferred to the club. At the same time, the club has let Salih Uçan go, who was on loan to Empoli, where he will now stay. Joining Fenerbahçe is Sadık Çiftpınar, coming from Malatyaspor. Other notable players to join the Yellow Canaries are Victor Moses from Chelsea and Serdar Aziz from Galatasaray. The news of the transfers is seen as fresh blood for Fenerbahçe. Moses is under contract at Chelsa until the summer of 2021 but has been told he will no longer feature in Chelsa Coach Maurizio Sarri’s plans. Cardiff and Crystal Palace had both considered 12 million Sterling for Moses earlier this month but failed to follow-up their interest. This week Moses made his mark in Turkey when he scored one of the goals in Fenerbahçe’s 2-0 win over Göztepe. Taking on new players has also meant the club has parted ways with others, such as Aatif Chahechouhe, Diego Reyes, Barış Alıcı, Uygar Mert Zeybek Salih Uçan, Ozan Tufan, and Yiğithan Güveli. But will these changes take Fenerbahçe out of the danger zone? Only time will tell, but the turmoil is the worst in the history of the club, known as Turkey’s richest. The club has never been relegated from the top flight. It’s a prospect that fans do not like.